DVM Systems introduces HerdStrong TruCore Precision Monitoring, a powerful combination of our award winning software with the world’s most sophisticated, long-life, accurate multi-sensor bolus. 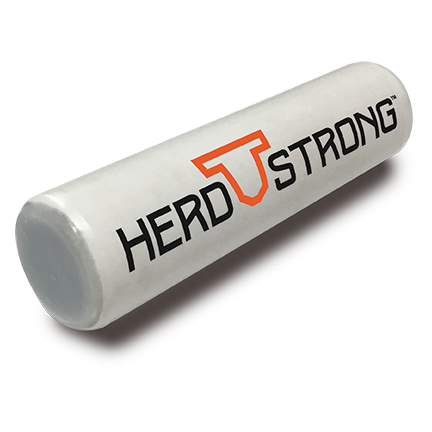 HerdStrong’s technology provides the ultimate management tool with cloud computing and a mobile app delivering actionable information directly to dairy and beef producers. TruCore Precision Monitoring provides real-time prioritized 24/7 alerts essential for today’s data driven operations. Contact us at (970) 506-4044 or info@herdstrong.com to schedule an appointment or complete the following information and we will contact you to confirm an appointment. Contact us at (970) 506-4044 or info@herdstrong.com for a software demonstration and additional research data. Remote access to all temperature data through HerdStrong’s exclusive TempTrack® software is standard with all installations. Contact us if you are interested in becoming part of the HerdStrong's distribution team. Join these prestigious universities & research organizations using Herdstrong™ products around the world.